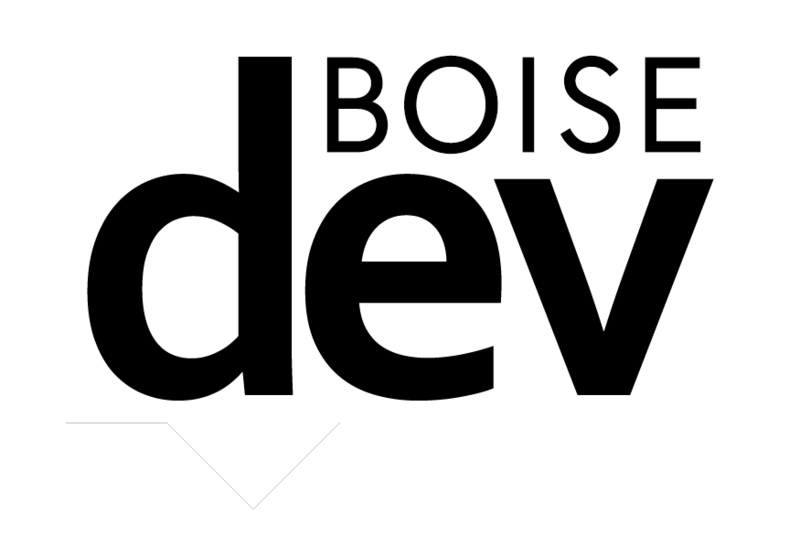 The City of Boise is working to enact a raft of changes to increase public visibility into upcoming development projects. 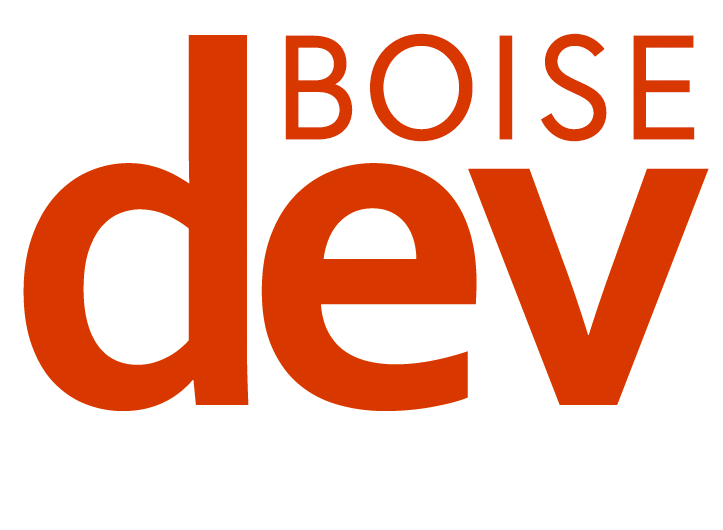 The Boise City Council heard a presentation from planning & development services on the outcome of several months of work from an advisory group formed to look at how the public is informed and involved in the process. The proposed changes break down into four main areas. Currently: City planning staff puts up an 11 inch by 17-inch piece of paper on a stick at the site of development applications that require a public hearing. Proposal: The applicant would be responsible for the site posting, using a template provided online by the city. The city would require the developer to prove they put up the sign. 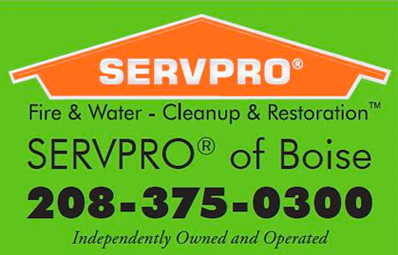 For some types of projects, the city would require a larger 4 foot by 4-foot sign with more detailed information. 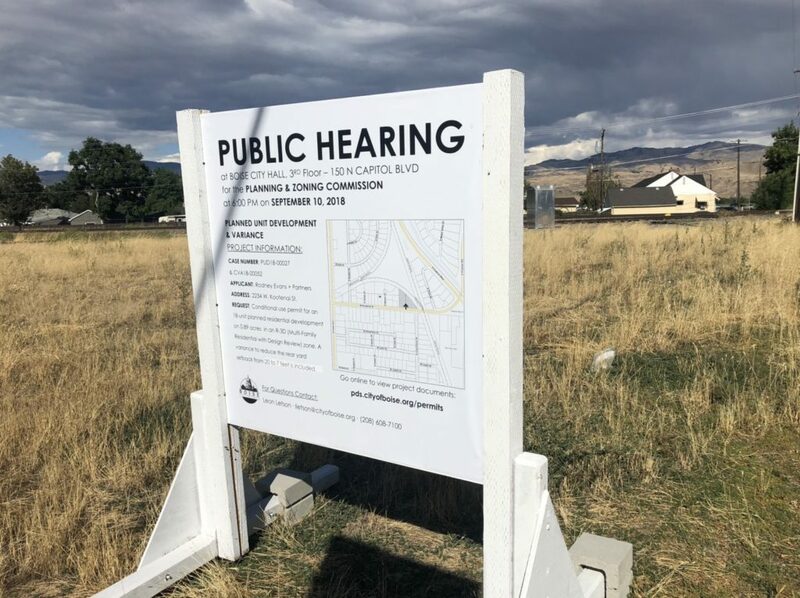 The city would require the larger signs for comprehensive plan amendments, rezones, special exceptions, subdivisions over five acres, conditional use permits greater than one acre or on a ‘gateway street’ or a planned unit development greater than one acre or on a gateway street. The city did a trial of this over the past six months. Currently: Neighbors are informed by mail with a card mailed out at least seven days before the meeting, or hand-delivered five days in advance. Proposal: Change the notification timeframe to ten days postmarked, or ten days hand delivered but only for variance applications. Currently: Neighbors within 300 feet are notified by a postcard. Proposal: Increased notification radius to 500 feet for comprehensive plan amendments, rezoning, subdivisions, conditional use permits, planned unit developments and special exceptions. Our previous story talks about a real-world scenario for this. Currently: Neighborhood meetings can take place anywhere from six months to five days before a formal application. The meeting can happen before or after a more informal pre-application meeting with city planners. Proposal: Change the timeframe from six months to twelve days before the formal application. Require the informal pre-application meeting happen before the neighborhood meeting. 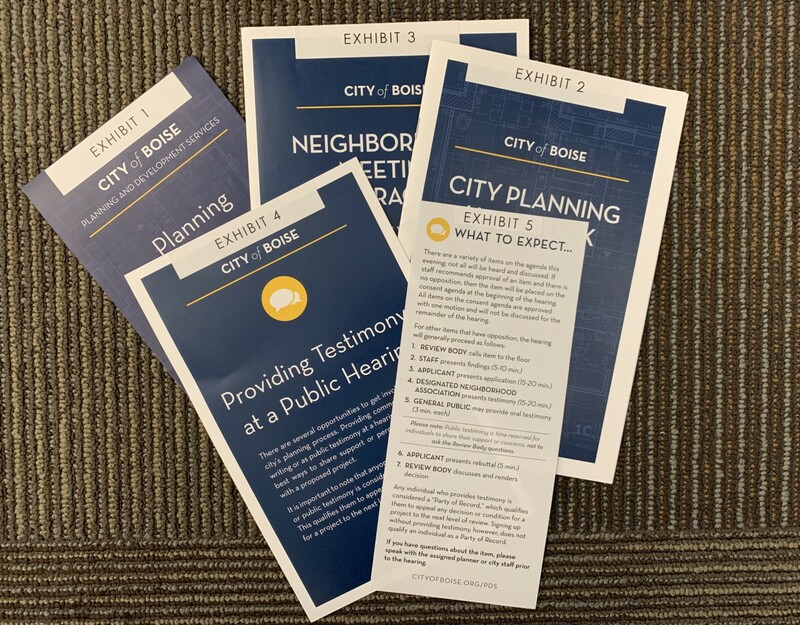 The process would also add a way for neighbors to add their concerns or comments about a project to the public record. “Right now neighbors don’t feel like they have a way to contact the city about neighborhood meetings,” Acord said. The city also plans to list neighborhood meetings on its website sometime in the next year. A future map could show where all the applications are. The planning director could also require a second neighborhood meeting in certain circumstances. In addition, the city has produced a series of guides and literature for both developers and neighbors or other people interested in development. The city council affirmed direction on the ideas. They could appear before the planning & zoning commission this summer and in front of city council in September for potential adoption.